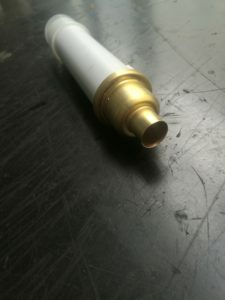 Home › Blog › What is the purpose of high voltage cable connector? What is the purpose of high voltage cable connector? The high-voltage cable connector mainly refers to the cable intermediate connector, that is, the two high-voltage cables are connected into a cable, and sometimes the cable terminal connector, and the connector at both ends of the cable, for connecting with other devices and lines. 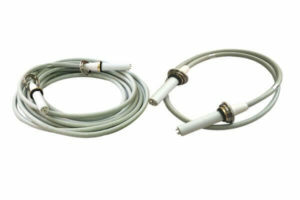 The cable connector is an indispensable part of the cable line, which is used to connect the two cables and improve the electric field at the end of the two cables. Long circuits must be connected by two or more cables, which requires a straight-through connector. A straight-through connector is an accessory that connects two cables to form a continuous circuit, specifically the metal casing of the connector and the metal shield and insulation shield of the cable to be electrically connected. In order to reduce the induced electromotive force of the metal sheath, the high voltage line requires an insulated joint to realize the cross-transposition connection to eliminate the circulating current generated by the induced potential. 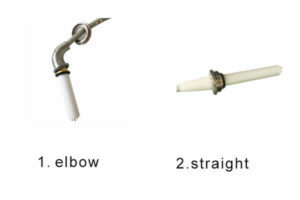 Insulated joints shield the metal sleeve, metal shield and insulation of the cable from electrically disconnected joints. The cable connector functions as a line, except for the insulated connector and the straight-through connector, which may have a branch connector and an excessive connector. If you want to know more about Newheek high voltage cable connector, please contact our customer service. Do you know the structure of high voltage connector?